OVERLAND PARK, Kan. (May 8, 2018) – The National Operating Committee on Standards for Athletic Equipment (NOCSAE) has released the following statement regarding equipment certified to NOCSAE standards and add-on helmet products. Products designed to be added to previously certified helmets for baseball, softball, football, lacrosse and other sports are being marketed and sold to consumers. Whether intended to be general improvements or expansions of the helmet’s protective coverage or ability, or to collect impact data, the addition of such products to a helmet previously certified as meeting the appropriate NOCSAE® standard will make the certification voidable by the helmet manufacturer. Such additions to the helmet create a new and untested model, as defined in the NOCSAE standards. For many years NOCSAE standards have defined a helmet model as a helmet “intended to be identical in every way, except for size.” Any changes, additions or alterations of the model, except for size or color or graphics, even if made by the original manufacturer, requires that a new model name be created, and a separate certification testing data for that new model. This concept of limiting certification to a specific model is commonly found in national and international helmet standards established by other standards organizations including the U.S. Consumer Product Safety Commission, the U.S. Department of Transportation and the Snell Foundation. NOCSAE, itself, does not certify any product, it does not “approve” or “disapprove” of any product, and has no authority to grant exemptions or waivers to the requirements imposed by the standards it writes. The addition of an item(s) to a helmet previously certified without the item(s) creates a new untested model. Whether the add-on product improves the performance or not, the helmet model with the add-on product is no longer “identical in every aspect” to the one originally certified by the manufacturer. When this happens, the helmet manufacturer has the right, under the NOCSAE standards, to declare its certification void. It may elect to allow the certification to remain unaffected, or it may also decide to engage in additional certification testing of the new model and certify the new model with the add-on product, but it is not required to do so. Products such as skull caps, headbands, mouth guards, ear inserts or other items that are not attached or incorporated in some way into the helmet are not the types of products that create a new model as defined in the NOCSAE standards, and are not items which change the model definition. I think it is a shame that NOCSAE and Little League are taking the position that they are taking. The C-Flap is protective gear that works. By saying that it will not be approved, and helmets with C-Flaps are not approved if the manufacture chooses to claim that their own warranty is voided if one is attached ignores certain facts. First, the manufacturers that you are permitting to make these calls for Little League and NOCSAE are not manufacturers of the C-Flaps. They have few business reasons for claiming that their warranty is voided – (1) if it is void, they are not liable under the warranty for injuries, and (2) they can pressure the companies manufacturing the C-Flaps. Their decisions have nothing to do with player safety. If you read helmet warranties, you will see they are limited warranties anyway. How many product defect lawsuits are there against helmet manufacturers for Little League players hit by balls in Little League games? Few if any – I couldn’t find any. My son’s C-Flap has provided protection twice in a game – direct hit to the C-Flap. Had it not been there, the direct hit would have been to his face. Regardless of whether the limited warranty for the helmet is void or not, isn’t that protection worth something? The issue with cheek flaps is not a matter of approval. NOCSAE does not approve or certify any equipment. NOCSAE also has no authority to require a manufacturer to accept aftermarket add-ons to a helmet that has been previously certified as meeting NOCSAE standards. For helmets certified since 2015, the certification of compliance is made by SEI, an ANSI/ISO accredited independent certifying body. Before 2015, certification of compliance with NOCSAE standards was done by the manufacturer directly. NOCSAE has a standard for batters facial protection, ND072, and millions of faceguards have been certified to that standard. Cheek flaps cannot meet this standard because the standard requires protection for the entire face, including the eyes, orbits, mouth, and nose, not just the jaw and part of the cheek. Little league rules regarding the c-flap defy logic considering these kids watch their favorite MLB players using the c-flap with the same installation instructions everyone receives. I think the helmet manufacturers are less concerned about safety and more concerned about profit. Once the helmet manufacturers have their own c-flap facsimile available, I think they will go back to Little league and ask them to mandate the use of their new product. My son played one game with the c-flap installed by me and approved by the umpire, the next game a different umpire told me I had to remove the c-flap or my son would be disqualified. My son played the game with a helmet that had 3 holes drilled in it and no c-flap. Major league baseball did not ask for permission from the helmet manufacturers to install c-flaps. They determined the c-flap improved safety and some teams ( Milwaukee Brewers) mandated minor league usage. There is no evidence of helmet failure with c-flap installation , only testimonials of how the c-flap saved a player from injury. I hope Little league changes its policy and allows Little league players to use the same equipment as the Major leagues and enjoy the same safety enhancements. There are batters helmet faceguards certified to a very rigorous standard that provide complete protection for a batters entire face, including the eyes, nose, and mouth. Cheek flaps cover only part of the jaw and cheek on one side. 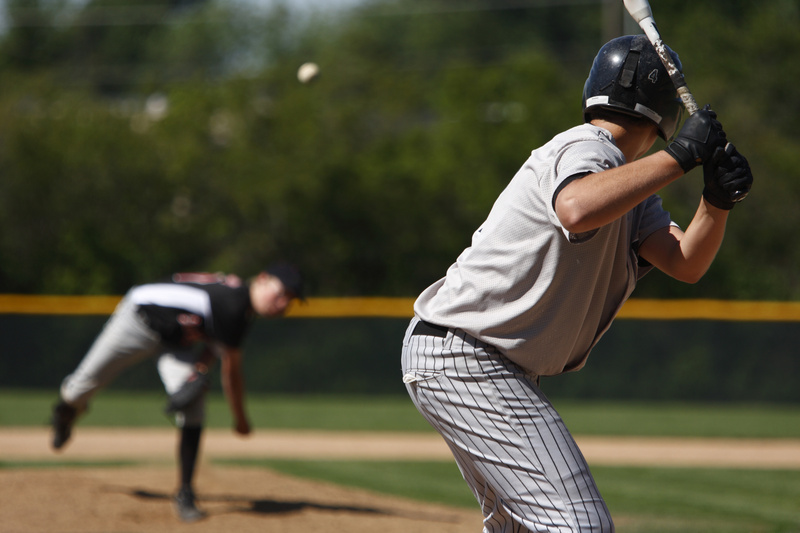 If there is a risk of injury from being hit by a pitched ball, one would think that complete protection would be far more desirable than very limited protection.